Limited time only! The Rink: 2-Hour Ice Skating + Skates Rental for Only $10! 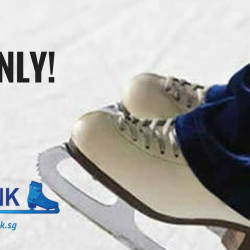 Head over to Singapore’s first and only Olympic-size ice skating rink to skate, twirl, and glide to your delight with 2-hour admission to the rink and a pair of rented skate boots at just only $10! Located near Jurong East MRT station, the rink also includes a 460-seat viewing gallery for supportive parents and curious onlookers. The day of romance is just around the corner so why not plan an evening on ice at The Rink with your loved one! 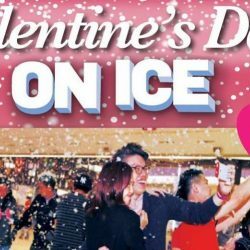 You'll get to skate under snowfall, enjoy love songs and a 1-for-1 promotion on 10 and 11 Feb, 9.45pm - 11.45pm! Till 18 Nov 2016, Mon to Fri The Rink: Flash Your ActiveSG App & Enjoy 2-Hour Admission with Skate Boots Rental at only $7! 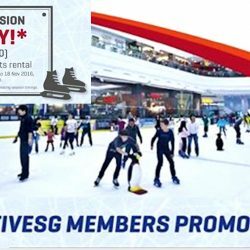 Flash your ActiveSG app at The Rink's customer service counter and enjoy 2-hour admission inclusive of skate boots rental at only $7 and 50% off 2-hour party package (U.P $350). Share this promotion with your friends and get fit together! Promotion is valid until 18 Nov, Mon to Fri. Time to go ice-skating! 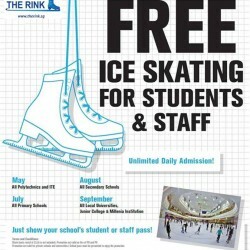 All Primary School Students and Staffs enjoy FREE Ice Skating at The Rink in the month of July 2015. School pass with photo ID must be presented. Skate boots rental of $3.50 is not included. Spend $20.00 in JCube (max 3 receipts) with at least 1 receipt from J.Avenue on the same day and get a FREE skate boots rental voucher. Hurry! 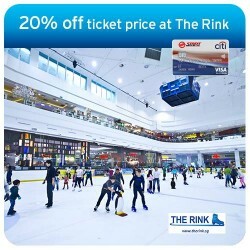 Citibank SMRT Card Exclusive: Enjoy 20% off ticket price (includes 2-hour adult admission and skate boots rental) at The Rink @ JCube. Till 30 Sept 2015. 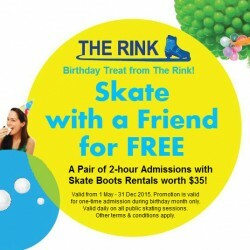 Skate with a friend for FREE on your birthday month at The Rink. A pair of 2-hour admissions with skate boot rentals worth $35. Valid for one-time admission during your birthday month only. Valid daily on all public skating sessions. Terms and conditions apply. Visit their outlet or website for more details. 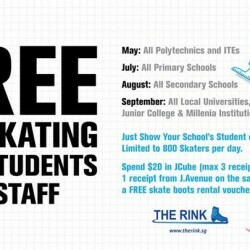 The Rink are giving FREE Ice Skating admissions for ALL Polytechnics and ITE students and staff in the month of May 2015! Ice skating is a good form of bonding session and now it's definitely a good chance to utilize the FREE skating admission for team bonding and to know your new/old classmates and colleagues!